Learning to drive is an important rite of passage for kids. They might not see it at the time, but being able to drive will help them in all sorts of ways once they fly the nest and embark on adult life. Many kids learn to drive with an instructor. You don’t need lessons to pass the theory test, but you can click here for test materials that will help. Lessons with a professional driving instructor are the best way to learn the skills you need to pass the practical driving test. However, although professional lessons are important, home practice is also important – and here’s why. The more practice your child has prior to his test, the better his chances of passing are. Driving is very much a repetitive skill and practice makes perfect. There is a lot to think about when driving a car and most kids need a minimum of 20 hours behind the wheel. Extra practice with a supervisory driver helps to cement the skills taught by a professional driving instructor. A few extra practice sessions spent with mum or dad could make all the difference, so it is worth helping your kids out. You need to make sure you are legal before you take a learner driver out on the road. To supervise a learner driver, you must be 21 or older and have held a full driving license for at least three years. The car you are using must also be insured for the learner driver. It isn’t easy being a passenger when your child is learning to drive. In fact, it can be quite frustrating at times, especially when your child seems incapable of doing something you find simple, such as changing gear smoothly or braking in good time. The important thing is not to lose your temper and start shouting. 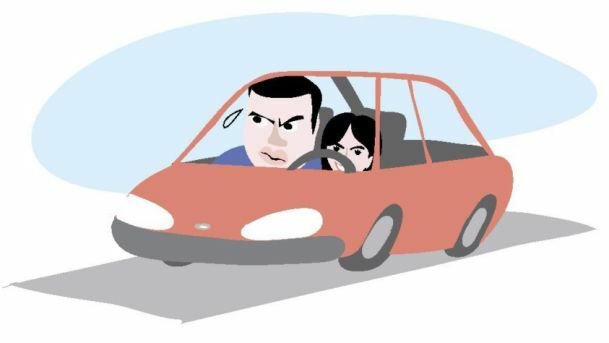 Learner drivers rarely respond well to parents who shout or get annoyed. Learning to drive is stressful enough without having your mum or dad screaming in your ear! If you don’t have much patience, or you are not a good passenger, think very carefully before you offer to take your child out for a practice driving lesson. You could end up doing more harm than good and end up putting them off completely. To start with, choose a quiet route away from heavy traffic and potential hazards until you feel comfortable with your child’s skill level. The nearer the child is to taking their practical test, the easier it will be for them to cope with more challenging conditions, but it is still sensible to avoid going out in heavy traffic or bad weather because unlike an instructor’s car, yours won’t have dual controls. Practice sessions are invaluable, but it is a good idea to brush up on the Highway Code before you take a learner driver out. If you don’t know the rules of the road, you could end up teaching them bad habits!